SIR JAMES KNOTT was built as an Oakley twin screw motor lifeboat by Groves and Gutteridge of Cowes Isle of Wight in 1963. 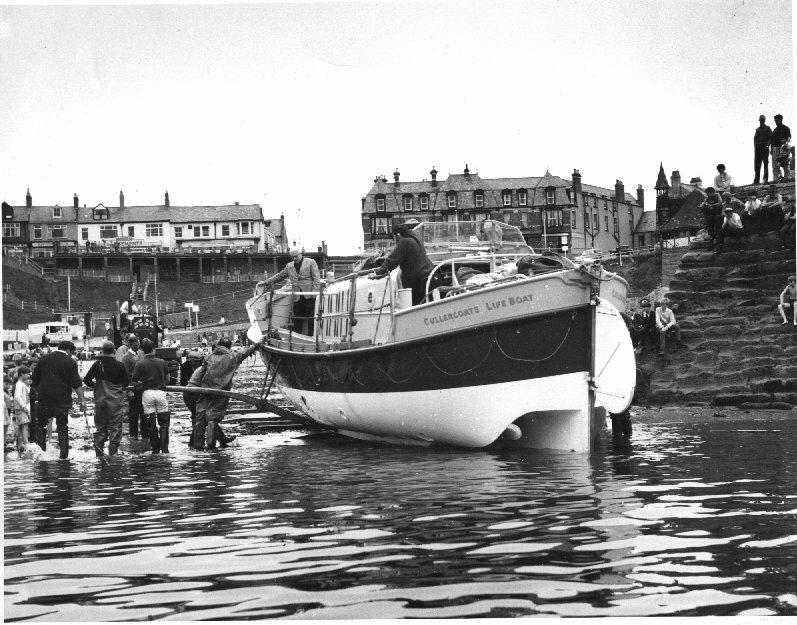 She served at Cullercoats from 1963 to 1969, was a relief lifeboat until 1972, became the Redcar lifeboat until 1986 and was a relief lifeboat again until 1989. 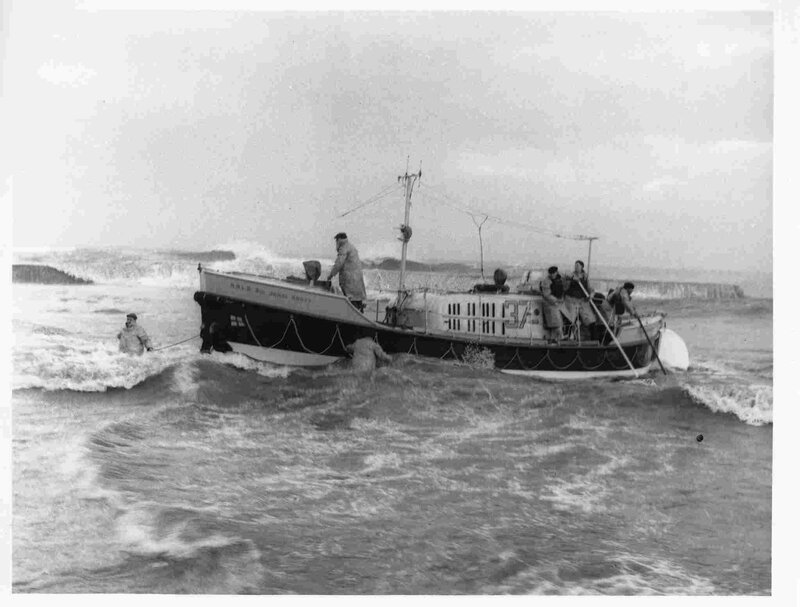 The lifeboat was in immediate service during her delivery passage from Cowes to Cullercoats when she was called to help a motor cruiser: She saved two people and towed the cruiser into Gorleston. 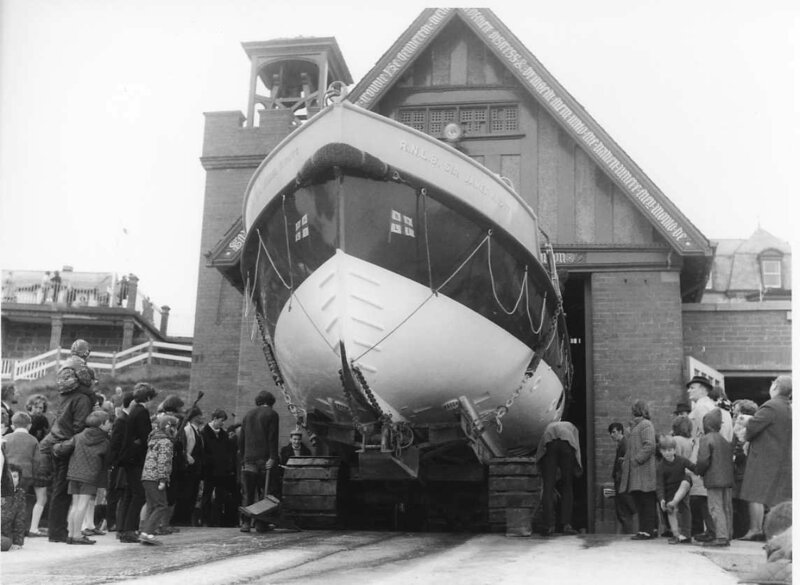 SIR JAMES KNOTT was stored at Dickie's Boat Yard, Bangor from May 1989 and was placed on the RNLI sale list. Since 1990 she has been permanently loaned to the Langburgh-on-Tees Museum Service for display at Kirkleatham Old Hall Museum, Redcar.